« When does an ATO become a CTO following a STEMI ? A Radial Trick : Strictly for advanced Interventional cardiologists ! Radial coronary interventions has become a global norm .Even complex procedures are being accomplished with ease adding on to the patient comfort and low risk for access site complications.However !occasionally we need to have multiple access sites to know the detailed real time contra lateral coronary anatomy is desirable .This becomes vital in the retrograde approach for CTO. Want to have a quick glimpse of RCA flow while one is attempting LAD PCI without additional puncture ? 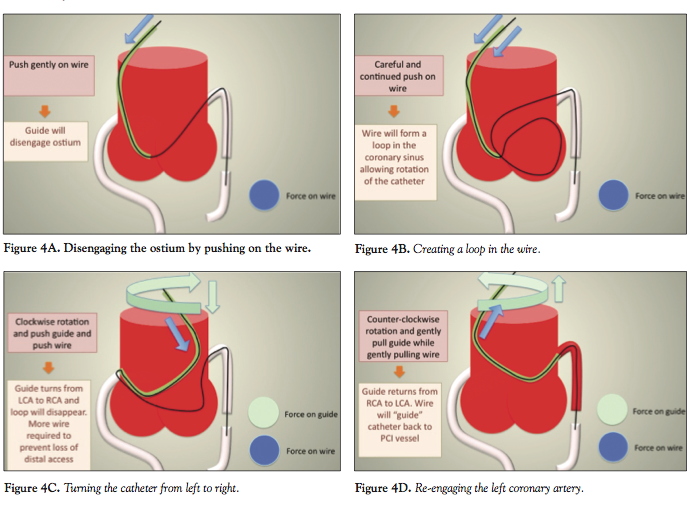 How about doing a contra-lateral angiogram with the same guiding catheter and wire in-situ within the ipsilateral ostia ? Here is an Innovation. Of course ,the same concept can be used in femoral angiogram as well.It could reduce procedural time, adds more efficiency of the hardware system handling. One can’t ignore the idea as well as the comment of the author, who says the trick is only for an advanced Interventional cardiologist.